So, what kind of toddler personality are you looking at today? There’s the wild dancer who puts their socks in the fridge or the kid who’s having a screeching freak-out because you won’t let them hide in the dryer. There’s the toddler singing loudly (oh so loudly) and happily in their crib at the crack of dawn, the one who brings you that bunny board book to read on the couch, or the quiet one that intently piles up stuffies and knocks them down with a giant grin. Or how about the naked little person stomping like a dinosaur in the hall, dragging a blankie and wearing a firefighter hat? Well, it’s a trick question: It’s easy to see all these sides of toddlerhood and more within an hour or two. Never a dull moment. Whenever you can, try to help your toddler combine their new motor skills and fierce independence (“Myself! Self!”) by taking some time and letting them flip on the switch for the bathroom fan, stir the pancake batter, pick out a shirt or soap up their hands. Other surprising things toddlers can totally (OK, slowly and messily) do on their own or with minimal help include pouring themselves a drink using a small pitcher, eating with a spoon and putting on their own coat and shoes. All of this usually requires superhuman patience on your part, but developing the “Me do!” skills is an important part of them feeling confident and developing a positive self-identity. Active songs, where you tie together words and actions, are usually a winner, too, plus they help your toddler develop coordination, language and memory, all in one fun energetic package. With or without music, they love to repeat actions that they’ve already got down, like turning in circles, jumping off a low step and bending at the knees. 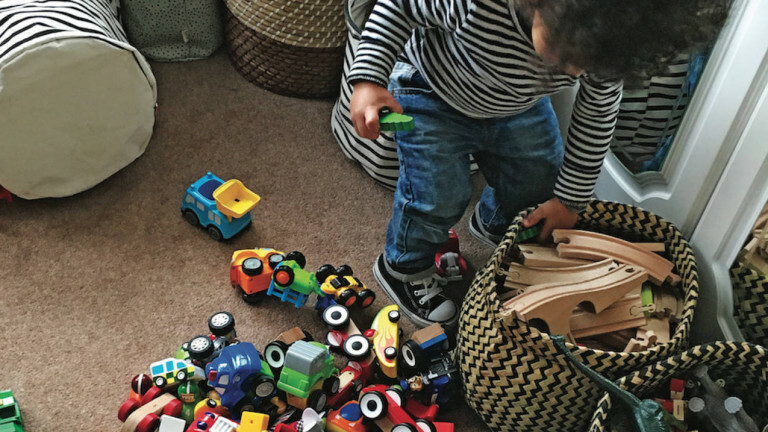 Other fave toddler activities at this age include stuff that develops their fine motor skills, like stacking blocks, using play tools (like a sieve or plastic squeeze bottle) and manipulating objects (especially things that produce sound, like the volume dial on your speakers). Toddlers love to interact with books, so look for those with mirrors, different textured surfaces and flaps that lift (yep, those flaps are going to get ripped off). Simple books that talk about concepts like parts of the body, colours, shapes, letters and numbers and ones with lots of simple rhymes and rhythm tend to go over well, too. When it comes to language skills, kids this age are starting to develop associations between words and what they notice around them, like walking over to the fridge when they feel hungry or yelling “Phone!” when they hear it ring. 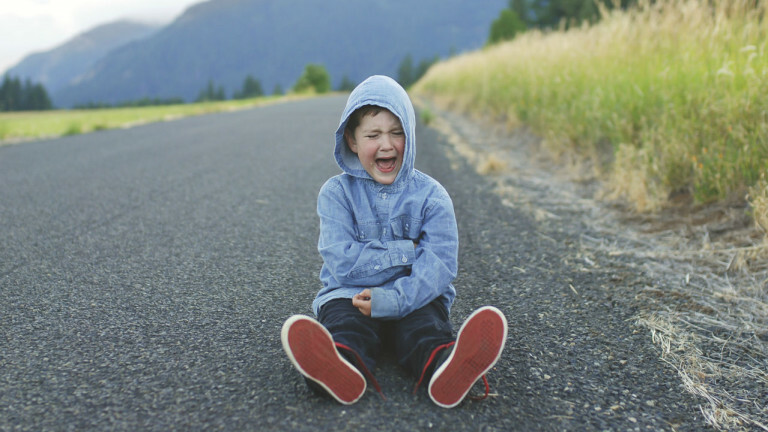 What’s the difference between a tantrum and a meltdown? It’s normal for toddlers to get frustrated, but it’s also how they learn. Through trial and error, they figure out what works and what doesn’t. But when you combine this with having emotions that feel really big and not being able to communicate clearly, you’ve got a meltdown in motion. How to deal: Let them scream and stomp while you stay close by (some toddlers won’t want to interact with their parents but want to know they’re there, while others are more receptive to a calming cuddle), but don’t give in to their demands because that teaches them how to get what they want. Don’t punish them with a timeout or something similar either because this is a normal toddler deal. Plus, it can’t hurt to put up an imaginary force field if you’re getting the stink eye in public. Thinking about a child care change? Around now, you might start to think about changing up child care or spending more time in a playgroup. Between 18 and 24 months, kids are bursting with creativity and energy and might thrive around more kids and more activity options rather than with a one-on-one caregiver. Still, you know your kid best and attachments can be strong at this age, so you may decide to stay where you are. Speaking of “stay where you are,” how are those wiggly diaper changes working out for you? Trying to change a toddler who doesn’t want to be changed can be a gross Olympic event. Use some toddler-approved strategies, like offering them choices (do they want to get changed in the bedroom or bathroom? ), having them stand during a change for a wet diaper or using the face-to-face time to ask them to point out different colours in the room or tell them a funny story. 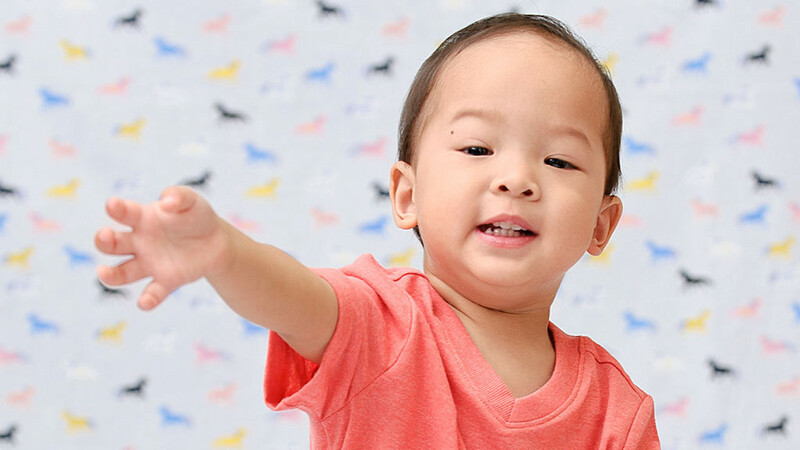 Your toddler loves finger foods they can pick up and control. It’s crucial for you to make sure the pieces are small enough to be safe and that the texture is appropriate for little kids, too. Be aware of these top choking culprits. Smooth, round foods, like grapes and olives These foods should be sliced into quarters. If you happen to be somewhere where hot dogs are your only option, cut them in half lengthwise and slice them into small pieces. Sticky foods Watch out for big mouthfuls of soft bread. Spread nut butter thinly and skip the gummy-style snacks and candy, including chewable vitamins, until at least age four. Hard veggie and fruit chunks, like carrots and apples Make sure to cook, mash, finely chop or finely grate them. Hard foods like nuts, seeds and popcorn Popcorn kernels can get stuck going down. Skip them until age four or older. For your toddler’s health and safety, how they eat is just as important as what they eat. That means supervising them while they eat and not letting them watch TV during meals or walk around with a snack. It’s an excellent idea to brush up on choking first aid, too, so you’ll know what to do if your nightmare comes true. When it comes to the after-meal routine, lots of toddlers are so not into having their teeth brushed, but it’s gotta be done. You can try handing them a brush to use and then following up with an actual brushing by you, giving them a small mirror to look at themselves or singing and telling stories while you brush. If your little mini-me always wants to do what you do, totally use that: Brush your teeth first and then it’s time to brush theirs. For some kids, afternoon naptime turns into a long three- or four-hour session. Granted, this is nice for some parent R&R but not so cool if it turns bedtime into a battle or if your toddler is waking up at night and losing out on 10 hours of night-time sleep. To adjust their schedule, try putting them down earlier in the afternoon, waking them after two hours or so (sorry) and making sure to stay active during the day. If, on the other hand, too-short naps are a problem, aim to keep their napping space cool, dark and quiet. For those rooster toddlers who wake up really, really early in the morning, blackout curtains or white noise may help convince them that it’s time to go back to sleep. However, some kids are just naturally wired to be early risers, so you may just have to accept that you’re going to develop an intense bond with your coffee maker. So this toddler stage is an intense period in your parenting life, obvs. And while no one wants to rush through life without savouring the sweet little kid moments, there are times when you’re right in the middle of it all and it can feel…endless. It may help to remember that this sometimes-overwhelming hands-on period does come to an end, and your kid won’t always want to bust in on you in the bathroom/require a carload of gear for an overnight trip/need the same board book read 10 times before bed. Trust us. Dealing with explosive liquid poop with someone who wears a diaper and rarely stops moving—good times. Diarrhea in toddlers can have a few causes, like a bug that’s going around, a parasitic infection or a food intolerance. But the most frequent cause is too much fruit juice—that much-loved toddler bevvy. Keep track of the timing of their diarrhea (is it regularly after meals that include dairy? ), offer banana (which can help firm up poop) and cut back on or eliminate fruit juice. The Canadian Paediatric Society recommends limiting juice to four ounces a day, and you may need to zap it from the drink choices completely and offer water instead. Check in with your healthcare provider if the diarrhea persists beyond a week or is accompanied by a fever or if your toddler is very fussy or losing weight. Is your toddler walking on their tippy-toes? It looks pretty cute and it may be that they’re just trying out some new moves, but if they do it a lot, for more than six months, it could signal some issues that need attention. Toe walking is on the rise. And, though it could be due to something simple like tight calf muscles from a growth spurt, it could be associated with sensory problems like vision difficulties, developmental delays and sometimes even autism or cerebral palsy, so it’s best to get it checked out.